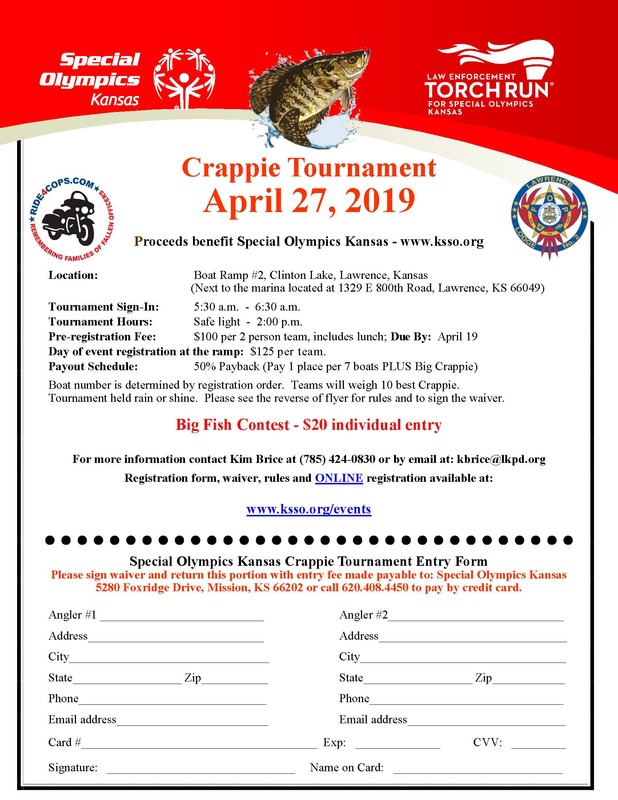 Join us for the annual Crappie Fishing Tournament April 27, 2019. Questions? Contact Kim Brice at kbrice@lkpd.org or 785-424-0830.